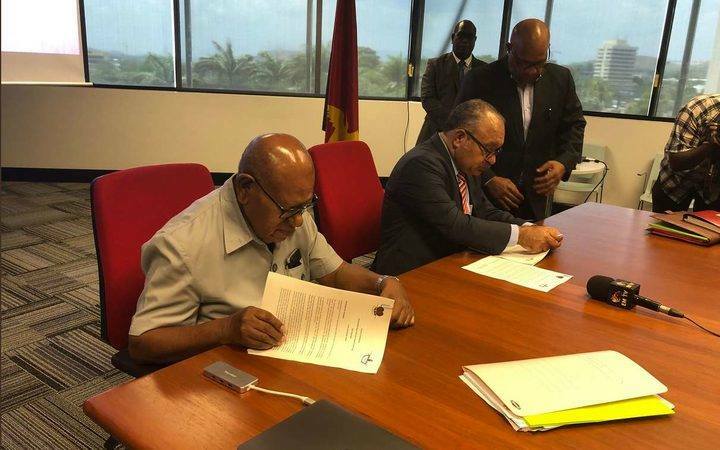 The Papua New Guinea Government has been urged to honour its commitment to fund the Bougainville Referendum exercise. Electoral Commissioner Patilias Gamato said this on NBC's National Press Club (Monday 25.03). He said, the National Government has yet to give any money from the total of K45m requested. "Our biggest challenge in terms of Bougainville referendum is funding, and I will strongly make a point here, asking the government to allocate funding as decided by the JSB," Mr Gamato said. Mr Gamato blames the initial deferral of the Referendum from June to August, to a lack of government commitment to funding the exercise. "The reason why the first date was deferred was because there was no funds for us to prepare and conduct the referendum," Mr Gamato said. Writs for the Referendum will be issued on August 16, and polling will start on October 12. Bougainvilleans will be asked two questions and that is to vote for either Independence or greater Autonomy.